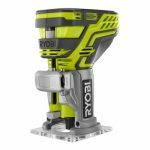 The Ryobi pin nailer is just another example of Ryobi’s design team’s commitment to developing tools that are not yet widespread in the tool industry. 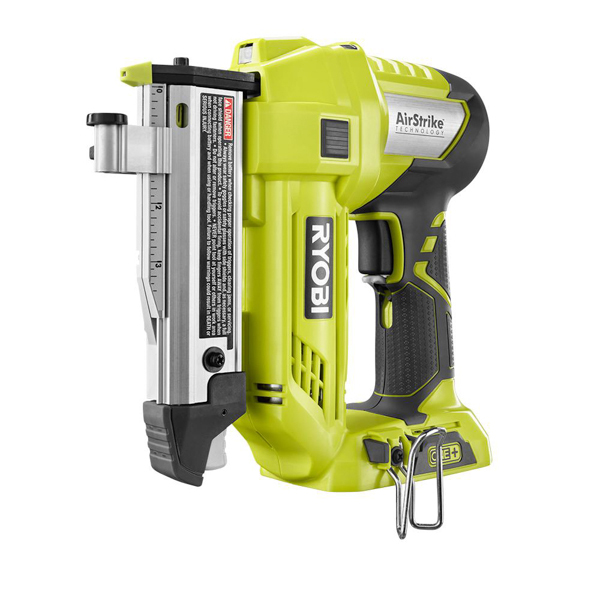 Ryobi’s cordless air nailer line,AirStrike, was expanded in the last few months when they released their P-318 Cordless 23 Gauge Pinner. 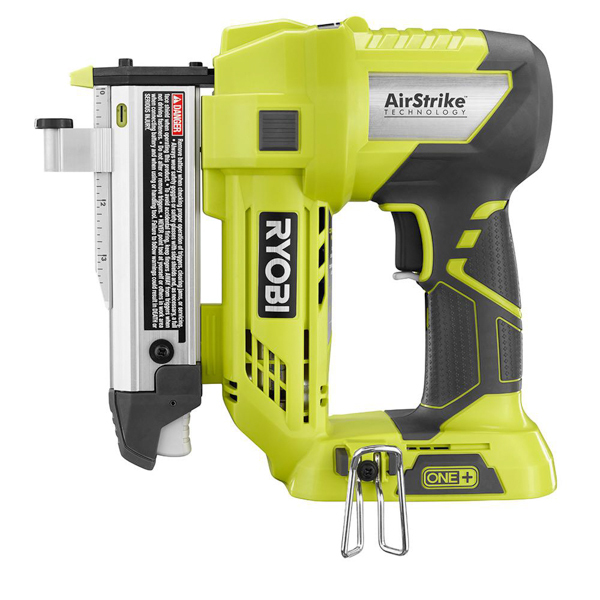 This 23 gauge Ryobi Pin Nailer helps Ryobi become one of the first tool companies to offer a complete and comprehensive array of cordless finish nailers with their AirStrike line. 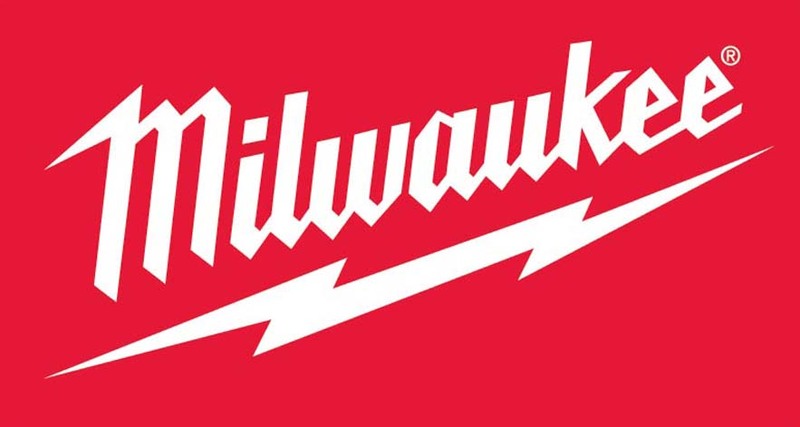 The line includes 15-gauge, 16-gauges, 18-gauge nail guns and now the P-318 23-gauge pinner. • Tool Weight: 3.85 lbs. When you think of a pin nailer you automatically think small and lightweight. The Ryobi cordless pinner is just that. It is smaller than your other cordless nailers and 3.85 lbs without the battery. Although, this is a significant increase over your pneumatic pinner. The P-318 pinner is definitely the smallest in the Airstrike line and the lightest. 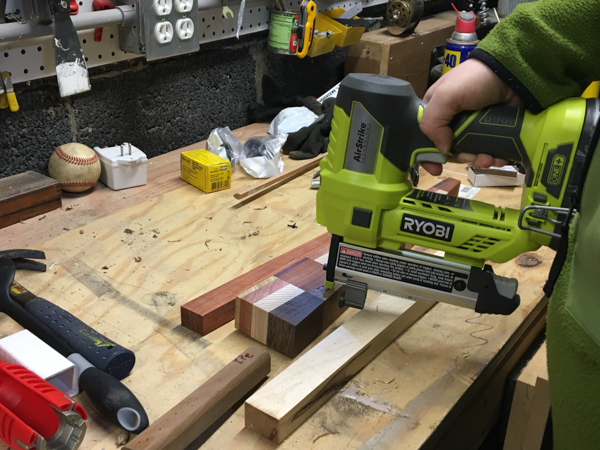 After installing the P108 battery (4.0 AH) Ryobi’s Cordless Pin Nailer comes in at just over 5 pounds. On any other cordless nailer in the AirStrike you have to depress the nose before you can fire. The P-318 pin nailer you don’t have a nose to depress. The safety feature, is a double action trigger you need to work. 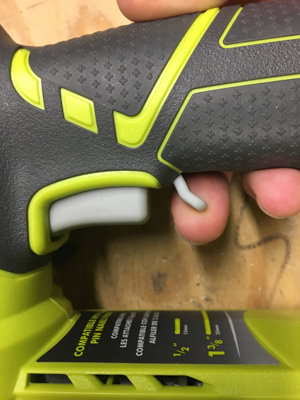 This feature is common also on pneumatic pin nailers. To use the double action trigger you use your middle finger to slide the safety down and pull the trigger. BE CAREFUL! The design gives you the ability to fire a nail when you’re not pushing against material. Trust me, I shot off a few pins on occasion because I wasn’t paying attention. A pin nailer is a must have tool for woodworkers and carpenters when securing more delicate pieces of trim. 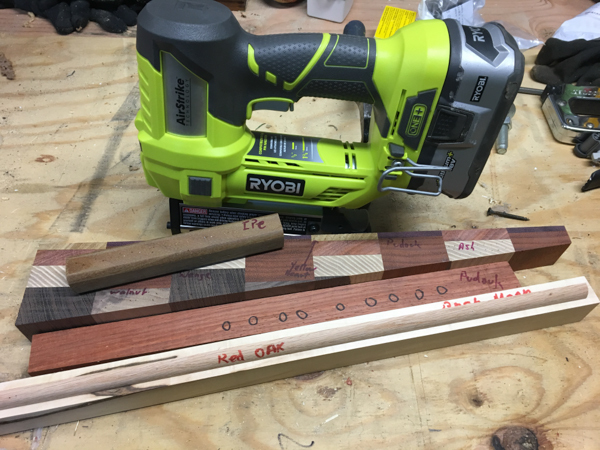 We used the Ryobi pin nailer for securing ½” red oak quarter round as well as some kitchen cornice and light rail work. 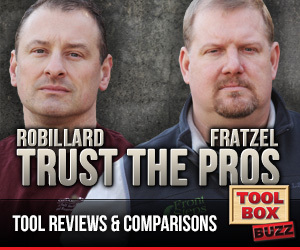 This nailer did not disappoint. The pinner was able to keep up with the pass of work, and never once showed signs of struggle driving the pins into the red oak. Impressed so far by the P-318’s ability to drive the pins I took the pinner into the shop to test it further with some more hardwoods. I shot 1” pins into Ipe, Rock Maple, Ash, Pudouk, Red Oak, Walnut and Yellow Heart. It sank about 85 – 90 % of the pins perfect. The remaining pins were just proud of the surface. The P-318 had most of its troubles in the IPE and the Rock Maple. Although it’s not every day I’m shooting pins into such hardwoods, I was still impressed by the ability of Ryobi’s AirStrike 23-gauge CORDLESS Pinner to shoot 1” pins into such hardwoods. The pinner does not have a depth of drive adjustment, which is a major disappointment. A feature like this should be on all nailers and would be a great upgrade. 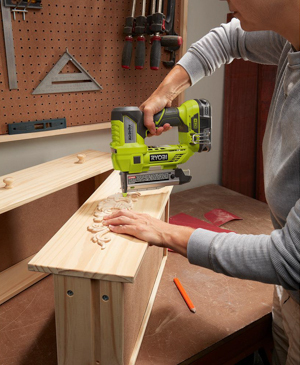 Ryobi’s 23 gauge Cordless Pin Nailer features a dry fire lockout. This will prevent the trigger from activating the driver blade when you don’t have any pins in the magazine. This mechanism in the magazine itself acts as a block. A nice feature that helps extend the life of the tool and helps you realize you need to reload. Loading the pins into the magazine of the P-318 is simple. A push of the button at the base releases the cover so you can insert your pins. It holds up to 120 pins and drives 1/2” to 1 3/8” pins nails. The P-318 Cordless Pin Nailer uses a metal magazine, no plastic except for the button that releases the cover. The nose of the pinner is narrow and non-marring. You also get a non-marring edge guide to help assist you in placing those pins at a consistent distance from your materials edge. The Ryobi pin nailer didn’t jam often. We encountered 1 jam since we have been using it. 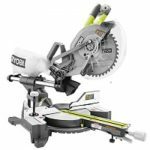 Ryobi doesn’t have a tool-free option on the P-318. I was disappointed about that. There is an on-board hex key to access jam if needed. Adding a tool-free option to clear jams would be a great upgrade. Ryobi’s Pinner has a belt hook that can be attached to either side of the tool. 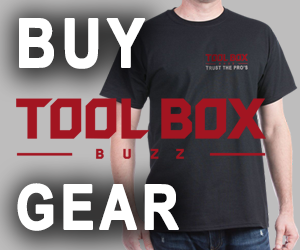 This a nice feature if want to attach to your tool belt or waist. A P108 battery in pinner also gives it the ability to stand up if you don’t want to use the belt clip. I really enjoyed this feature, it was always standing there easy to grab and ready to work when I needed. 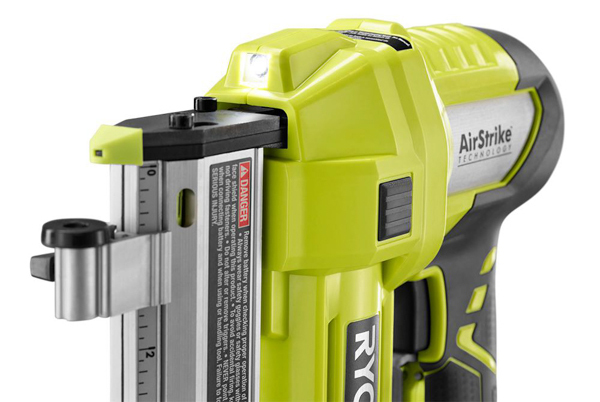 Ryobi’s 23 gauge AirStrike Pinner is a great tool for your more delicate carpentry and woodworking tasks. 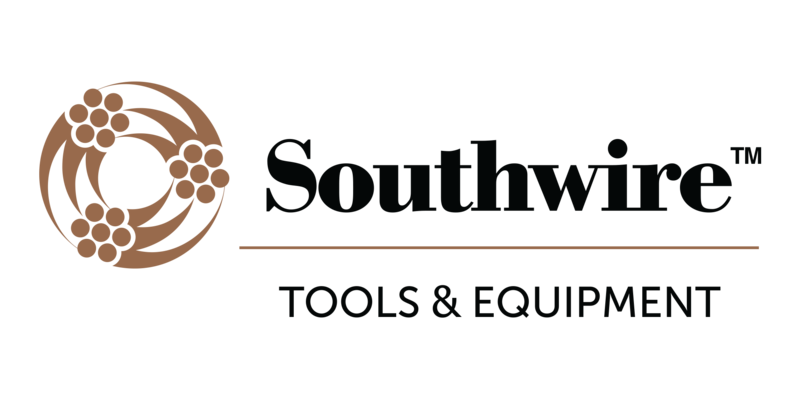 It is reliable in delivering consistently driven pins and provides Pro Features at an Affordable Price of $129 for the bare tool at The Home Depot. 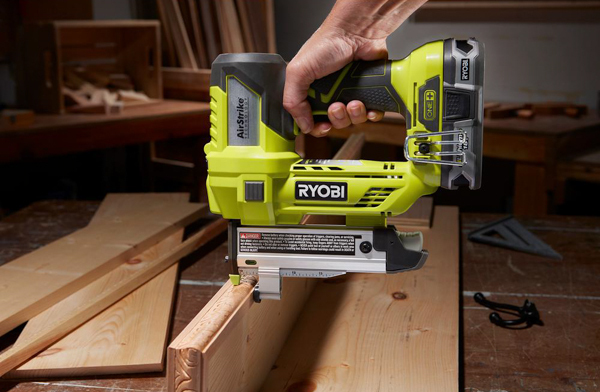 Ryobi’s commitment to a complete Cordless finish nailer line makes their, P-318 23-gauge pinner a great addition for woodworkers and carpenters, especially if you are already on Ryobi’s One+ 18V platform. 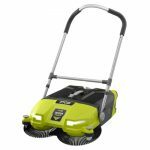 It is part of a cordless system that now has over 100 products that all work with ONE+ battery. 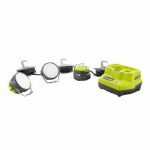 Like all other Ryobi One+ 18V you get their 3 year warranty.